The Konebada Petroleum Park Authority [KPPA] has already attracted plenty of public criticism. Its financial mismanagement has been condemned by the Public Accounts Committee; its arbitrary acquisition of over 23,000 hectares of land has been labelled ‘a State-sanctioned scam’ by the National Research Institute; and PNGi has previously revealed a series of other irregular transactions, mysterious corporate links and governance failures that demand further investigation. Now we can add to this list the Authorities’ apparent massive spending on car hire. 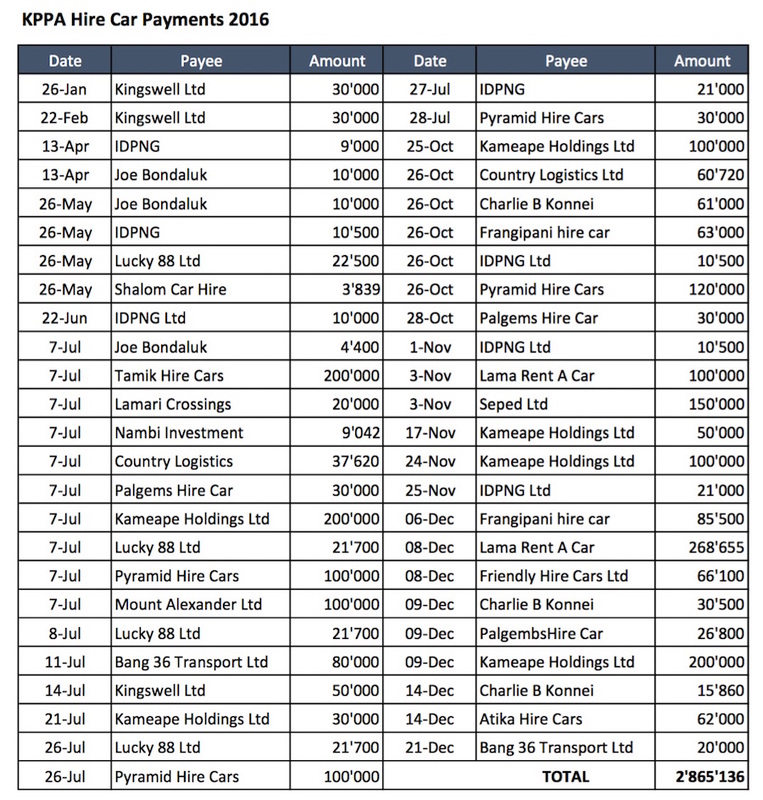 Internal financial documents appear to show that in 2016, the KPPA spent over K2.8 million on hire cars. That represents exactly half the Authorities’ total grant from government, which was K5.6 million. The payments were made to 18 different car hire companies and, apparently, two individuals as reimbursements for hire car expenses. The largest amount paid to one company was K580,000, the smallest K3,839. 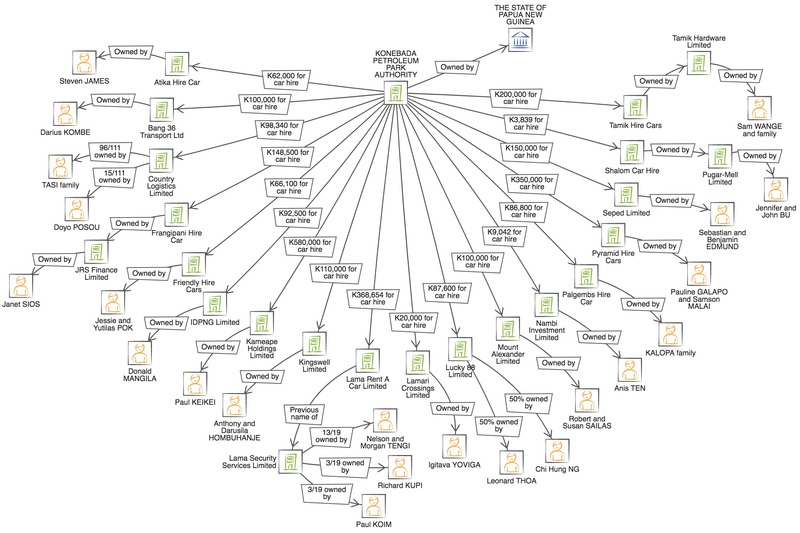 The map below shows the documented ownership of the car hire companies. How is it that a government agency, one that has already been heavily criticised for financial and legal impropriety, can be spending half its annual grant on car hire? Surely this demands further investigation by the Auditor General and Public Accounts Committee? Such massive spending on hire cars should also rightly be questioned by anyone concerned at the government’s current perilous financial position and its seeming inability to pay for basic services like decent health care and education. Why would a cash strapped government struggling to provide hospitals and health centres with medicines and other supplies allow one of its agencies to spend half its budget on hire cars?